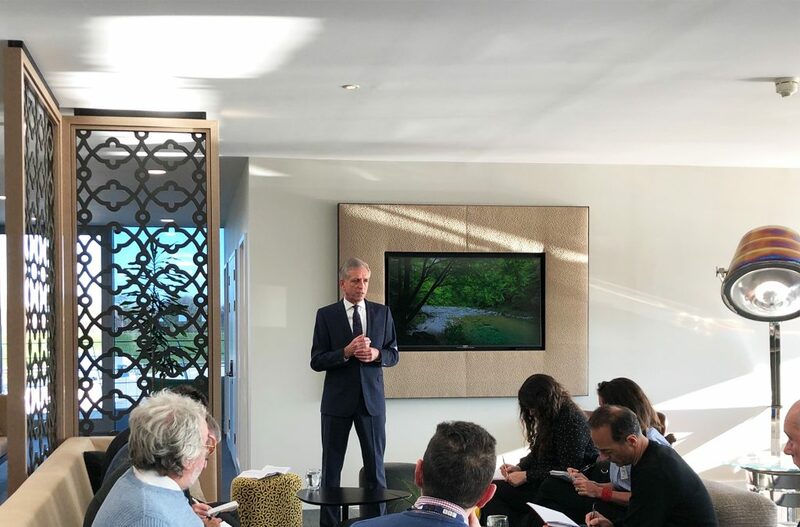 TAG Farnborough Airport is underscoring its ongoing commitment to sustainable development and carbon footprint reduction by supporting an exciting programme focused on solar energy. 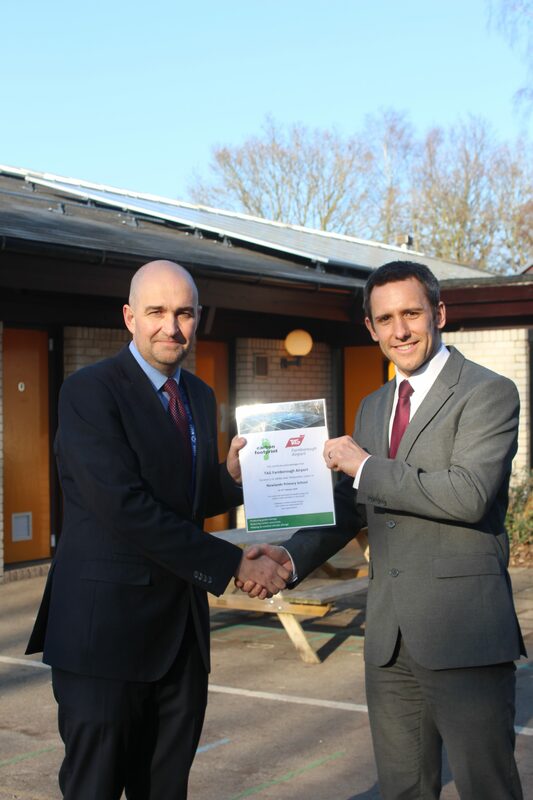 In conjunction with Carbon Footprint Ltd, the airport is off-setting 2018 residual carbon emissions (over which it has direct control) through the support of renewable energy projects, both locally with the donation of a 10kW Solar Array system to Newlands Primary School in Yateley, Hampshire and also overseas through the support of a large-scale solar farm project in India, bringing green energy, education and employment opportunities between the two projects. In 2018, TAG Farnborough Airport became the first business aviation airport in the world to achieve carbon neutrality and since then has continued to make further substantial reductions in its carbon footprint with a confirmed offset totalling 1,605 tonnes of carbon emissions for the last year. Over the past five years alone, TAG Farnborough Airport has invested over £1 million into energy efficiency projects and during the past decade has reduced carbon emissions, over which it has direct control, by 3,819 tonnes or 73 per cent (2008 carbon emissions: 5,242 tonnes). In cooperation with Carbon Footprint Ltd, TAG Farnborough Airport has offset residual emissions through credible and certified offsetting projects, which in recent years have included school tree planting in the local area paired with a conservation project in the Amazon rainforest (Florestal Santa Maria Project), protecting trees in one of the most biodiverse places in the world. 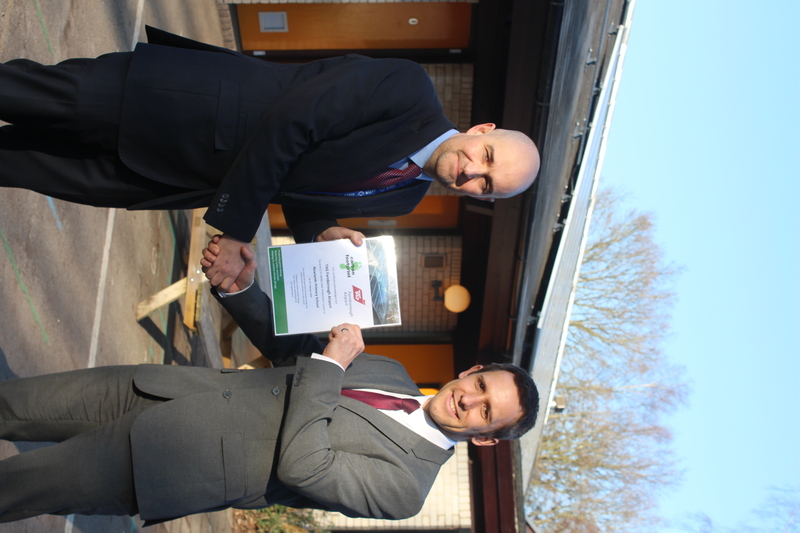 This important work is continuing in 2019 with TAG Farnborough Airport donating a 10kW Solar Power system to Newlands Primary School, located close to the airport in Yateley, Hampshire. As well as providing much needed renewable energy, the new solar system will allow the school to reduce its electricity costs by about £1,300 each year and at the same time provide the children with a unique learning opportunity in the field of Science Technology Engineering and Maths (STEM). At the same time, TAG Farnborough Airport is also supporting an overseas solar power project in rural India. The project has provided employment in a developing region, helping to both decarbonise the national grid and reduce power outage. FARNBOROUGH, 17 January 2019 – TAG Farnborough Airport has today announced a record year for air traffic movements by reporting the highest ever number of total annual movements in 2018, surpassing the previous record from 2007 by 8.2 per cent. 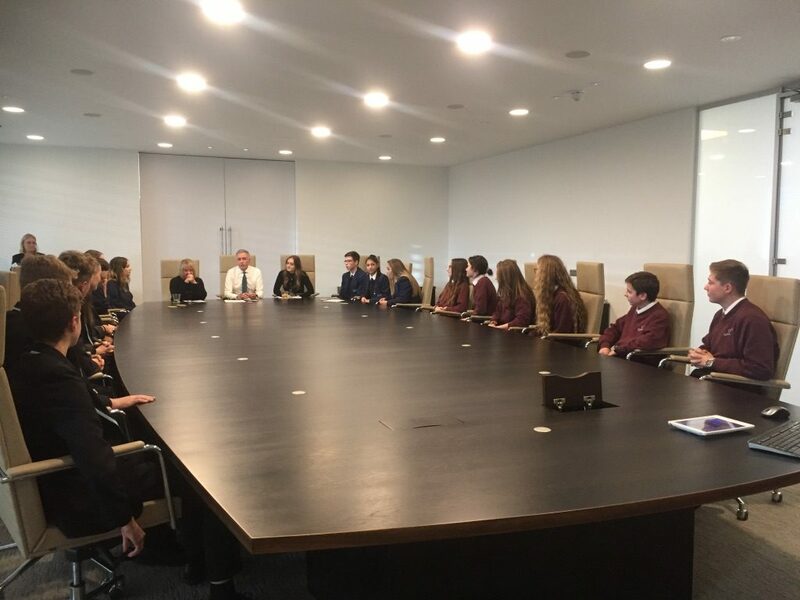 TAG Farnborough Airport hosted a Presentation Challenge for students from local schools on 29 November. The students, in Year 9 and 10, were from Ash Manor School, Calthorpe Park School, King’s International School and The Wavell School. 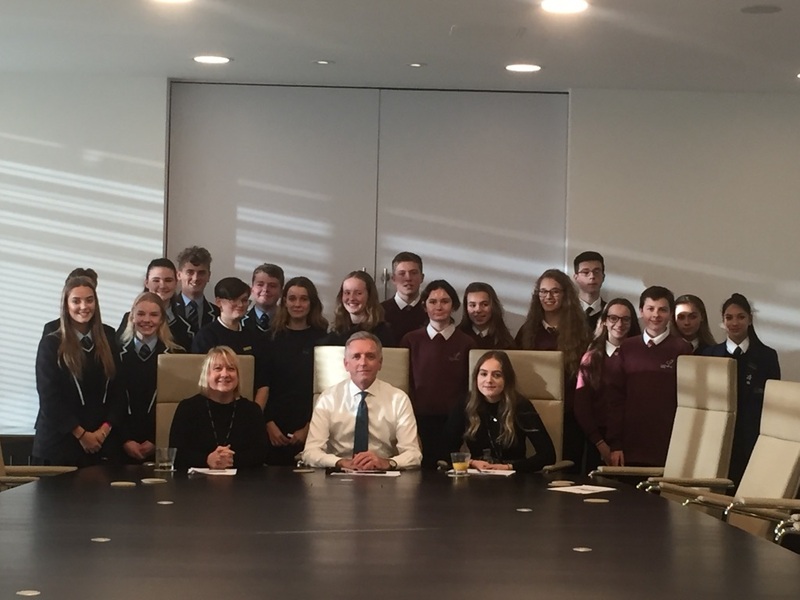 The students attended a ‘Presentation Masterclass’ delivered by Brandon O’Reilly, CEO, TAG Farnborough Airport which gave them plenty of advice, hints and tips for giving a good presentation. All the students then had two weeks to prepare their own presentations which could be on any aspect of aviation. The range of subject matter covered everything from aviation crime and aviation conspiracy theories to the manufacturing rivalry and future of aviation. Brandon, Elaine Turner and Bayley Rolfe from TAG Farnborough Airport judged the presentations and were really impressed by the high standard of delivery from each of the teams as well as the quality of the content of each presentation. “The standard across all the presentations was really high and better than many business presentations I’ve attended in the working environment. Well done to everyone who participated. Having had this experience, we hope that the students will now take the skills they have learnt and put them into practice when taking their next steps, whether that’s college, university or work” said Elaine Turner, Marketing & Events Manager, TAG Farnborough Airport. As the standard was so high, there were two winners; Calthorpe Park School with ‘How is the Internet Transforming Aviation’ and The Wavell School with ‘Aviation Conspiracy Theories’. 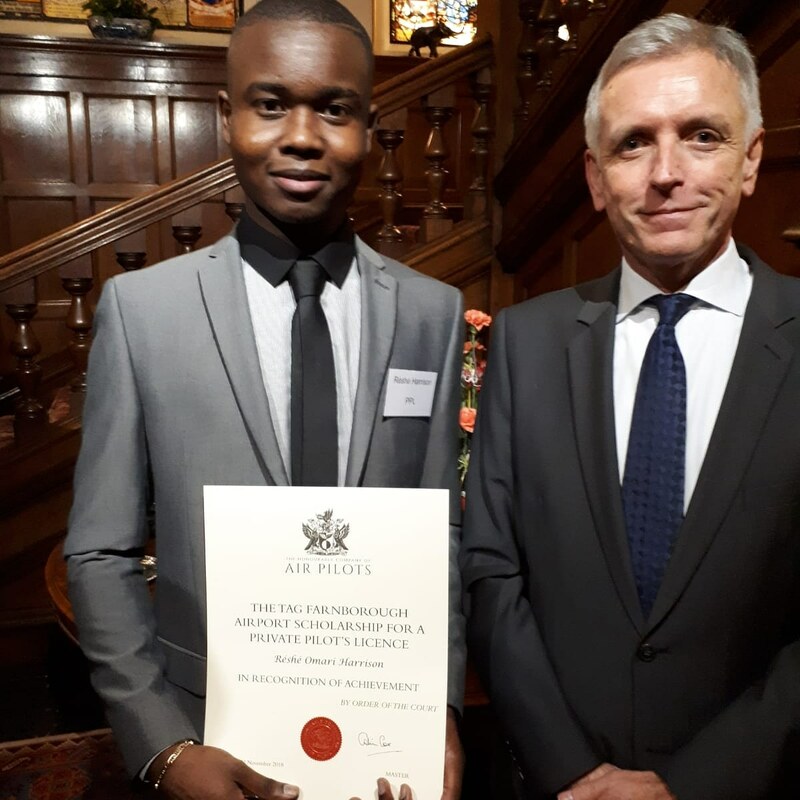 Réshé Harrison, winner of the TAG Flying Scholarship 2018, was joined by TAG Farnborough Airport CEO, Brandon O’Reilly, at a Scholarship presentation ceremony and reception at Cutler’s Hall in London last week. During the ceremony, The Court of The Honourable Company of Air Pilots presented Réshé with his scholarship certificate, formally marking his achievement. “Réshé has worked hard and overcome many challenges to get to this point and I am sure that he will benefit greatly from the tremendous experience he has gained from this scholarship. I am delighted that TAG Farnborough Airport is supporting this scheme as it is yet another way in which we can encourage local young people to get involved in the world of aviation,” commented Brandon O’Reilly. Under the auspices of the Honourable Company of Air Pilots’ scholarship programme, TAG Farnborough Airport grants one young person a scholarship with the aim of supporting individuals who might otherwise not have the necessary resources to gain flying experience and ultimately achieve their PPL. Over the past 11 years, scholarship recipients have progressed to a variety of professional roles within the aviation industry. The TAG Flying Scholarship 2019 is set to be launched in January next year.